This simple guide outlines the tools you’ll need to stream US TV shows anywhere in the world. With the tools the internet offers you today, there is no need to miss out on your favorite movies and TV shows. However, things do take a turn for the worse when you’re traveling abroad. Most streaming sites will give you an error informing you that some content is not actually available in the region you are trying to access it from. The only way to fix that problem is to make use of a VPN service. With a good VPN for traveling abroad, you can get rid of all the geo-restrictions. Streaming services often restrict people from what they can view from their content catalog. Most of the time, they do it because they want to stay away from legal trouble and conform to licensing agreements. The other reason why you would want to make use of a VPN service is pricing. Streaming services like Netflix have varied pricing models depending on which country you’re from. Another benefit of using a VPN service is when you want to bypass government censorship programs in countries that restrict internet access, like China and Russia. Sometimes, VPN services can also come in handy when trying to avoid going to sites that have malware on them. If you have signed up for a good VPN service, you should have no problems in navigating these issues while also staying safe online. But how to know if a VPN is any good? There are many ways. The first thing you should look for is the connection speed. If a VPN service is not fast, it is pretty much useless when it comes to you (the user) streaming U.S. TV series abroad. Reloading and buffering are two things all streamers want to stay away from. Of course, a fast VPN would make sure you never have to quit streaming just because it is too slow. The number of VPN servers is also important. A decent VPN service offers more servers. And the more VPN servers there are, the better the chance that the VPN service can actually connect you to one of them quickly for your U.S. TV series streaming needs. Another feature that makes a good VPN for U.S. television shows is server location. You should never sign up for a VPN that does not have variety in its server locations. 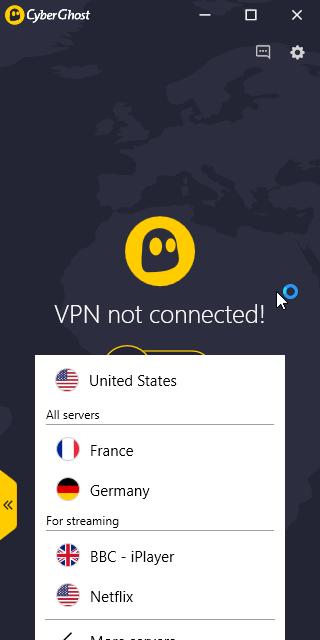 What good is a VPN service if it does not have servers in the U.S.? Only go for VPN services that have U.S. servers so that you can stream American TV overseas. And on that note, it is also true that if you want to stream U.K. content, then make sure your VPN service has U.K. servers. Another very important aspect of a good VPN for American TV is privacy. If you are not anonymous, a VPN becomes more or less useless. It is very important for you to check a given VPN’s logging policies along with its encryption implementation and then compare a bit to see which one allows you to watch American TV abroad. The price point is one aspect that comes as an important factor in any given online purchase. And for VPN services, it is even more important since you will have to pay for the service on a monthly basis. Of course, there are free VPN services available in the market, but they do not take care of your security and anonymity for the most part. 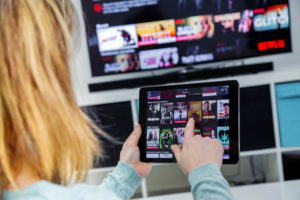 That is all that you really need to know about how to watch U.S. TV outside the U.S.
NordVPN is the perfect choice for online consumers who are sure about using a VPN for a long period of time as it offers big discounts to those who show trust in the service by signing up for its multi-year deals. And for th e number of features one gets in return, NordVPN is more than just good value for money. It has fast VPN servers and can rival any other VPN service provider in terms of service quality. 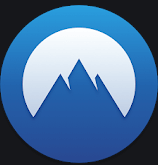 Currently, NordVPN offers between 4,000 and 5,000 VPN servers all over the globe. Additionally, this VPN service has a great reputation for offering advanced security features. If that was not enough, then know that it also offers a money-back guarantee to users who don’t feel comfortable with the service even after a month’s worth of use. In short, NordVPN is a good choice for users who want to stream American TV abroad. This VPN service is based in the United States and offer users excellent server speeds for streaming content from any country in the world. As mentioned before, speed is a very important factor for people who want to sign up for a VPN service because they want to stream American TV abroad. 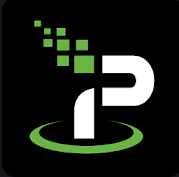 IPVanish recently upgraded its infrastructure and now works with Netflix USA fairly consistently. It is also great for Kodi. Currently, this VPN service is offering over 400 VPN servers in the United States and covers over 17 cities. IPVanish does a solid job of connecting you to a fast server and giving you a new IP address to change your location. Just like all the other elite VPN service providers, IPVanish makes use of a 256-bit AES cipher in order to protect user data. IPVanish is among the first VPN services that offers an app for Amazon Fire devices. 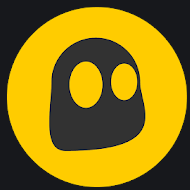 CyberGhost is not far behind the best VPN services in the world in any of the categories that make up a good VPN for American TV abroad. Our research shows that it offers discounts for users who sign up with the service for 12 months or more. 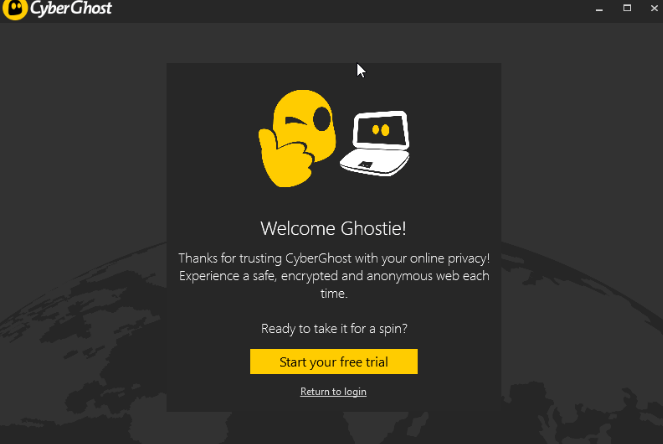 Compared to some of the other top VPN services in the world, CyberGhost does not offer a high number of VPN servers but it does make up for it with top tier security. CyberGhost VPN also lacks speeds when compared to the best in the business. And because of that, some users may find that it is not as good as other VPNs on this list while streaming HD content. Regardless, it is a dependable VPN service that makes use of 256-bit AES encryption along with a robust IP and DNS policy. It also offers a kill switch feature and does not log any information on the user. Moreover, it works with streaming services such as Netflix from almost all countries. Each CyberGhost subscription package comes with a 45-day money back guarantee. 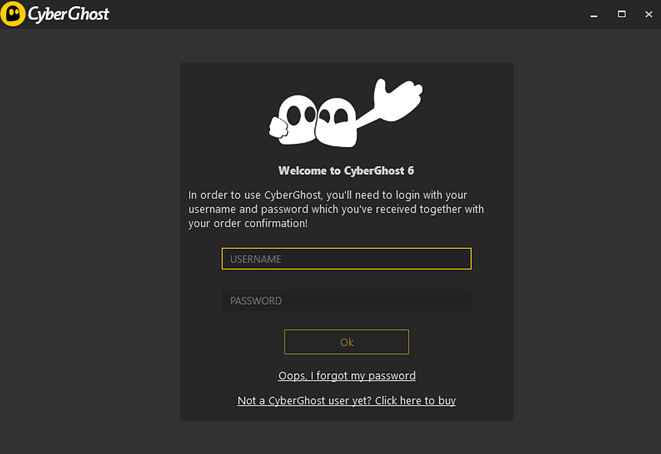 Finally, CyberGhost offers each user unlimited bandwidth, and that is always a plus for users who want to watch a lot of American TV while overseas. PureVPN first made a name for itself by offering users unprecedented performance on various speed tests. 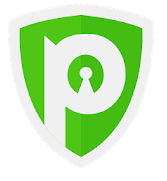 However, now other VPN services have not only caught up, they have surpassed PureVPN. And while PureVPN does well in all these areas, it does not exceed its peers. PureVPN packages come with various add-ons as well. However, our research shows that they are not that useful in practical terms. For example, its streaming servers and Chrome plug-ins don’t quite work as well as one would expect. PureVPN is based in Hong Kong and this has the ability to offer users VPN access in places close to China. It is not the best VPN service that you will ever come across but it is certainly good enough. 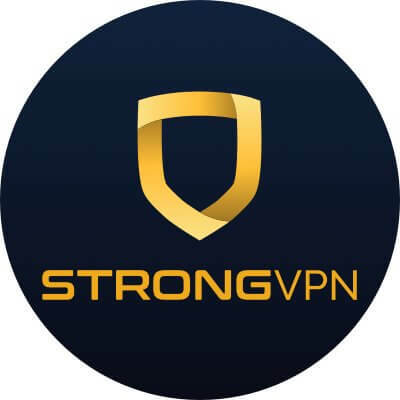 StrongVPN, at its core, is a pretty simple but sturdy VPN service provider. The company has overhauled its VPN service in recent months and has consequently made it very simple even for beginner users to connect to its VPN servers and get surfing on the internet. Not only does it prove useful for beginner users who want to watch American TV abroad, it also provides enough options to users that even veteran VPN users would appreciate. The company offers users over 650 VPN servers and covers over 24 important locations around the world. It makes use of the very secure 256-bit AES encryption to provide protection to its customers on top of secure VPN protocols such as IKEv2. As a company, StrongVPN is registered in Dallas, Texas. Users who want good speeds and reliability should definitely give this option some thought. Now that you know which VPN services are best for American TV abroad, the actual process is very straightforward and short. You sign up for a good VPN service provider for the job. Check out the options above and choose the best for your needs. 2. You download the VPN app for your platform or device from the official website of your VPN service. 3. Then you install it on your device. 4. Launch the app and then connect to a server based in the U.S.
5. Then access the official website of the streaming service that you want. And that is it—it’s as simple as that. Oh, wow, so much information about US television! I use NordVPN mostly to unlock US Netflix and watch Orange Is The New Black and Stranger Things. Maybe the price is not the cheapest, but believe me, it’s worth it. And actually, it is not so hard to find a discount code, if you know how to look. Glad NordVPN is working out for you so well. It really has established itself as the go to source for people who want to unblock US Netflix.